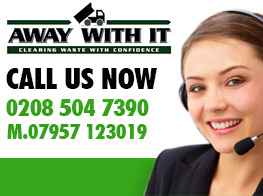 Are you looking for business waste removal services in Chingford E4? Then look no further than Away With It. 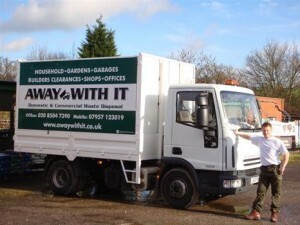 We’ve been providing commercial waste removal Chingford businesses trust for quality and reliability for nearly fifteen years. 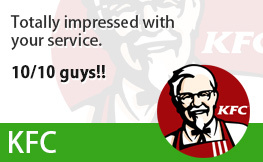 And our prices are among the lowest in the market. Whether you need a regular kerbside collection or wait and load service or simply need to arrange a same day pick up we can offer the ideal solution. Pick up the phone and ring 0208 504 7390 or 07957 123019 to get a quote and book your collection. We even offer a same day pick up / collection service for the most urgent jobs. How’s that for service? 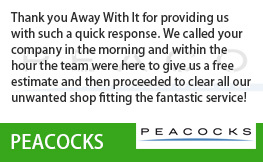 We’ll give you a two hour time slot and call ahead to let you know when to expect us. 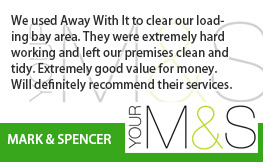 On arrival we’ll clear all your waste and ensure everything is cleaned and tidied before we leave. It really doesn’t matter what type of business you operate in the Chingford E4 area. 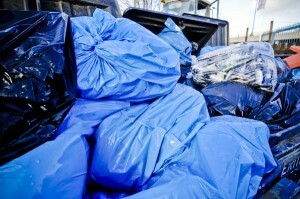 We’re the people to talk to when it comes to fulfilling all of your commercial waste removal needs. 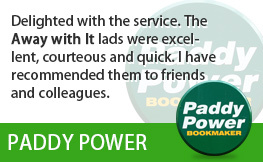 All bookings are for a minimum of 2 hours to give our operatives plenty of time to get the job done to our, and your satisfaction. The time allocated to you will be at your convenience. The fully inclusive prices quoted to you are just that – there are no hidden surcharges, extras, add-ons or whatever else you might like to call it. 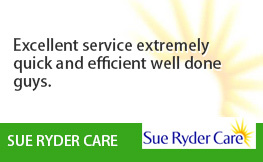 Nothing hidden in the small print – we quote a price, you pay that price – job done. 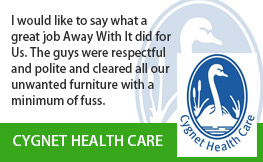 Our professional team will stay until all of the rubbish is removed and the area is swept clean and tidy. Around 80% of all the commercial waste we remove will be recycled or re-used – that’s our promise to you andto the environment. Give us a call now on 0208 504 7390 or 07957 123019 to discuss your requirements for commercial waste removal Chingford E4 and get a competitive no obligation quote. Or use our handy online enquiry form and we’ll get back to you fast.